This is one of my favorite word art pictures! 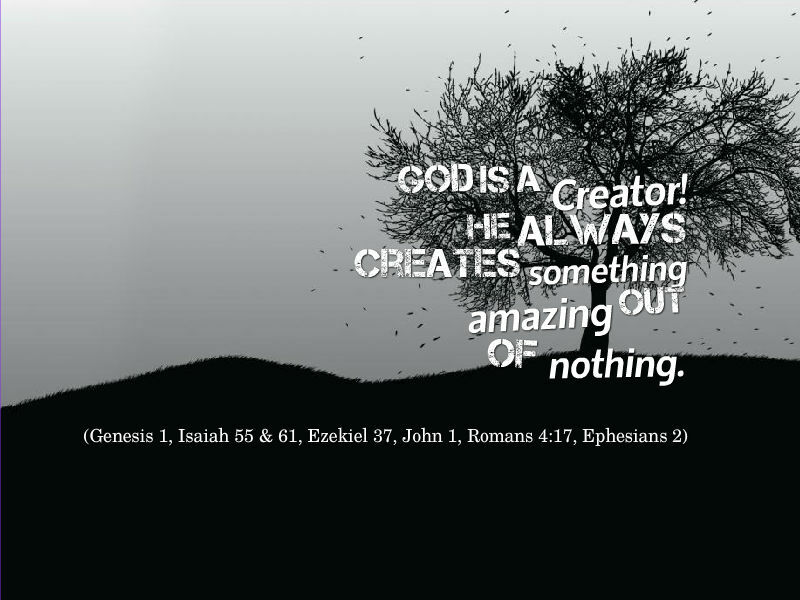 God is in the business of making something from nothing, life from death, beauty from ashes, and freedom for captives! This brings me hope. These websites can help you find information that God may use to start a new creation in your life. Henry Cloud and John Townsend Help with Boundaries etc.